Buy any 2 themes and receive a 3rd theme FREE! Console 360 vBulletin skin is geared towards any gaming community, clan / team forum or specialty forum looking to offer their members a stunning vBulletin 4 skin. Even if your forum isn’t geared to gaming we include the logo and midsection PSD so you can fully customize to match your needs. Does this Console 360 support vBulletin 4 & 5? Currently Console 360 supports only vBulletin 4. 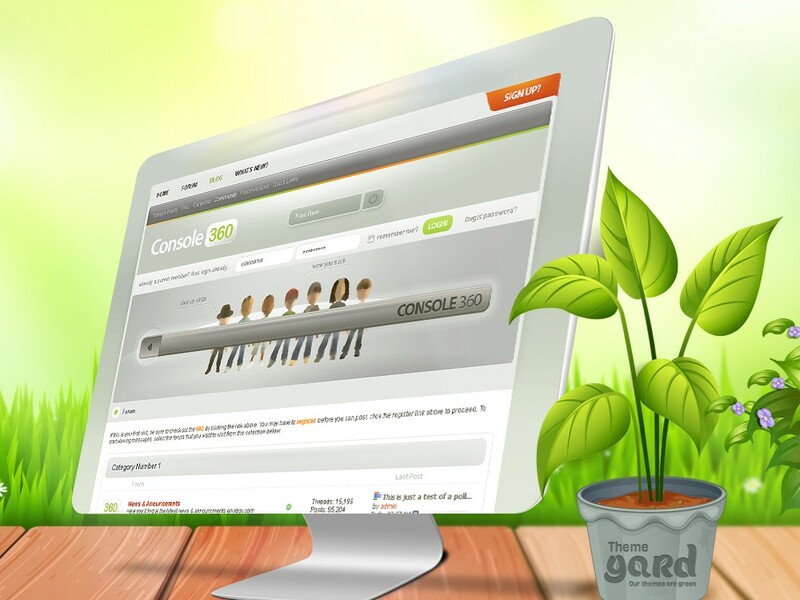 Send in your request to get Console 360 updated to vBulletin 5. Does Console 360 work with Right to Left (RTL) Forums? Yes it does! Since vBulletin 4.15, all of our vBulletin Templates support Right to Left Forums. See the documentation for usage instructions. Do you offer any discounts if I purchase more than one vBulletin Skin? Absolutely, for every 2 vBulletin Themes you purchase you will receive 1 FREE. Are skins updated with bug fixes and version updates? Absolutely, if you find any bugs with our themes please let us know about them by creating a ticket as without that we don’t know the bug exist. With bugs and version updates we will always release the most up to date version of the skin we can. You can download the latest update within the Customers Area. When purchasing one of our themes you will have the option to remove our ThemeYard.com branding, which is typically found within the Copyright. Upon purchase we will provide you with a package to install on your forums which will remove our branding right away. We LOVE our ThemeYard.com branding within the copyright as it helps us grow and add more customers, but we know you may want it removed and if that’s you please purchase the Branding-Free option.